If a lot of the pre-sale is being handled by Marketing, and a lot of the post-sale responsibility is falling on the Customer Success Manager, is that the end of selling? Author and CEO J.B. Wood says it’s not, but there is a radical transformation happening in the B2B Sales process, leaving a compressed, but extremely important role for Sales. A frequent industry speaker on the topics of business outcome engineering, X-as-a-Service (XaaS) business models, and transformations in the traditional customer-supplier relationship, J.B. explains the new conditions for success in Part One of a two-part Voice of Value episode. Today’s customers can self-serve a lot of the information they need before they ever talk to Sales. With so many credible voices in the mix, what’s the role of Sales today? Who will win tomorrow’s deals? Spoiler alert: it won’t be the company that answers the most questions in the RFP. J.B. says the company that wins tomorrow’s deal will be the one who educates the customer to outcomes they didn’t know about today. The Sales professional must understand the key conditions for success, which are the conditions for mutually agreed upon outcomes by which both parties will be measured. He says if you are in Sales, you need to shift from being heads down around your own product, to being heads up around your customer. In this episode, J.B. explains how the modern Sales process is about setting the conditions for success and creating a partnership that will work. 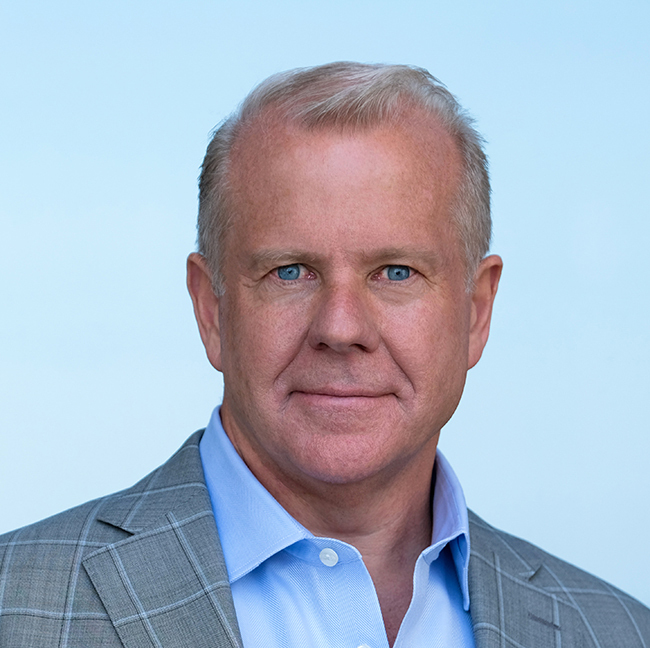 J.B. Wood is president and CEO of the Technology Services Industry Association (TSIA), the leading association for today’s technology and services organizations. An author and frequent industry speaker on the topics of business outcome engineering, X-as-a-Service (XaaS) business models, and transformations in the traditional customer-supplier relationship, J.B. is redefining the Sales process in the age of cloud and managed services. [4:03] If a lot of the pre-sale is going to the Marketing folks and a lot of the post-sale responsibility is falling on CX and Service, is that the end of selling? J.B. says it’s not. [7:54] There’s not one market for your product, there are lots of markets today, especially in technology. J.B. explains the Myth of One Market. [14:30] J.B. defines At Risk Revenue. See why he thinks it’s such an important concept for as-a-Service companies today. [15:41] The Sales process should be about setting the conditions for success. Getting the contract signed is just a piece of a much broader puzzle; it’s no longer the endgame. [17:10] J.B. thinks the RFP should RIP. Find out why. [18:52] Who will win deals? Hint: it’s not the company who answers the most questions in the RFP. [21:46] J.B. describes the new world of selling. [23:43] Do you have to be industry-specific to be viable in today’s business world? J.B. thinks “verticalizing” is inevitable. This is a very powerful summary of the way that the role of sales is changing. The traditional role is shifting to greater focus on defining business outcomes and the long term conditions for success. One of the best podcasts I have heard in a long time! “For large technology firms – this podcast offers invaluable insights for sales reps, sales managers, those who own their firm’s go to market strategy – and strategic business leaders across the enterprise. YOU DON’T WANT TO MISS THIS. JB Wood with the Technology Services Industry Association knows the world of enterprise sales has been turned on its head, for good. RIP customer RFPs and vendor PowerPoints. Self-educated customers have no need for reps who ‘show up and throw up.’ What matters now are “last mile” conversations, as sales reps morph into quarterback-consultants and clients double down on business outcomes. Tech companies have to pivot from focusing on “winning the deal at any cost” to securing at-risk revenue over the long haul – by obsessing about delivering industry-specific customer value/success. More things change, the more they are the same: I cut my teeth on high-stakes enterprise software sales in the late 90s, when it seemed sales reps couldn’t set foot in an account without an army of vertical industry experts to back them up. Great model for building credibility with the client – and for driving sales costs through the roof and tanking profitability.